Just A Car Geek: 1973 Jensen Healey - "Barn Fresh"
1973 Jensen Healey - "Barn Fresh"
This is the third car I've seen recently that is being described as "barn fresh". That's a new term to me. "Barn find", I know. "Barn fresh", I don't. I've never owned a barn, but I've been in a few and I can't imagine that anything that has sat in one for 12 years (especially a car) can be described as "fresh". But, that's how this car is being described and if the text is true and the pictures are accurate, this Jensen Healey really is pretty "fresh". 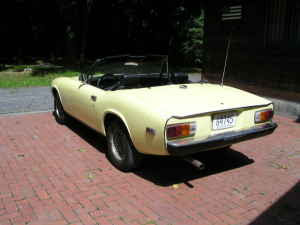 The Jensen-Healey came with the then-new 1973cc Lotus 907 DOHC 16 valve engine. In fact, it was the first car (even before Lotus) to use that engine. This engine was the first to use a rubber timing belt. Unfortunately, it had a propensity for eating them and it is recommended that you change the belt every 18,000 miles (!!). Unless the seller can prove that he recently changed it, don't take any chances. Have the car towed home and change the belt before driving it. 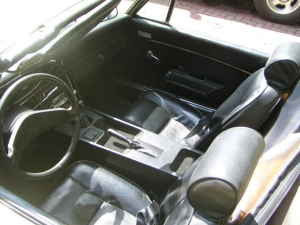 Also check the fuel system and replace any cracked lines and connectors. There are other common problems (leaks from around the cam cover being very common), but those are the two issues need to be addressed right away. Jensen Healeys don't sell for a lot of money and this one, if it's all the seller says it is, is very reasonably priced at $3495.00. Even if you spend another $1500.00 - $2000.00 making it "right" (as opposed to "fresh", I guess), you'll still have a fairly rare (just over 10,000 were built in 4 years, but few survive due to timing belt and rust problems), semi-exotic (the Lotus engine), very fun to drive car for a very reasonable price. Located in Macungie, PA, click here to see the Craigslist ad. 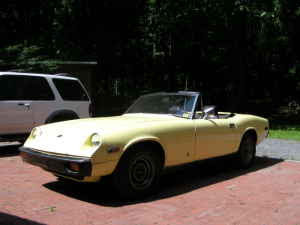 I own a 1973 Jensen Healey, which I have dubbed "FrankenHealey, as it is assembled with parts from seven or eight other cars. On additional Caveat to anyone considering purchasinf one: The original carb setup of two Carbs had a single gas line splitting at the carbs and running fore and aft. The join was handled by a plastic "T" fitting, After a short time they were prone to failure, resulting in raw gas being dumped all over the engine compartment, with the inevitable results. The current engine in my 73' came out of a 75' that suffered a fire. By all means replace the plastic "t" before running it. In addition to what Al has said - There are two O rings located on the bottom of Stromberg Carbs that should also be replaced, particularily if the car has been sitting for a period of time. At the very bottom of the carb is a brass plug, which will come out , needs a bit of prying and has an O ring to hold it in place. Replace it - and periodically as you drive the car put your hand under the carbs and checkj to make sure it is dry. Another source of engine fire . I have driven my 73 for 10 years and really enjoy the car.